Vijayawada is blessed with number of renowned degree colleges, universities and colleges of engineering. 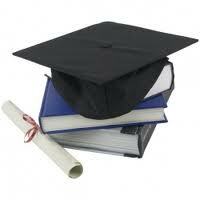 Colleges in Vijayawada are known for their outstanding contribution in the field of academics. They mainly focus on overall development of the aspirant. Highly qualified and experienced faculties help the aspirants at every point of time in their studies and encourage them to participate in all the extra curricular activities of the educational institution. Eminent colleges situated in Vijayawada are Dr NRS Government Ayurvedic College, K.V.S.R. Siddhartha College of Pharmaceutical Sciences, Maris Stella Institute of Business Administration, Vijaya Institute of Technology for Women etc. Colleges in Vijayawada imparts higher education in the field of engineering, arts and social science, law, commerce, medical science, journalism etc. Dr Nori Ramasastry Government Ayurvedic College which is commonly known as Dr NRS Government Ayurvedic College is situated in Vijayawada. It is affiliated to NTR University of Health Sciences (NTRUHS).A constant effort is made by Dr NRS Government Ayurvedic College in keeping the traditional medicine, Ayurveda, alive. This college mainly imparts quality education in Ayurveda. Maris Stella Institute of Business Administration is located in Vijayawada which is affiliated to Acharya Nagarjuna University and is approved by the All India Council for Technical Education (AICTE), Government of India, New Delhi. The institute is managed and controlled by Society of Franciscan Sisters of Mary. The various courses provided by the Maris Stella Institute of Business Administration are postgraduate courses in the field of management studies and computer applications - Master of Business Administration (MBA), and Master of Computer Applications (MCA). K.V.S.R. Siddhartha College of Pharmaceutical Sciences situated in Vijayawada offers diploma, undergraduate, postgraduate degree programs in pharmaceutical science. This college is affiliated to Acharya Nagarjuna University, Hyderabad and approved by All India Council for Technical Education (AICTE) and Pharmacy Council of India (PCI). Vijaya Institute of Technology for Women was established in 2008, located in Vijayawada. It is approved by All India Council for Technical Education (AICTE), New Delhi and affiliated to Jawaharlal Nehru Technological University (JNTU), Kakinada. Modern facilities such as Library, Canteen, Auditorium, Laboratories, computer and internet facilities, Placements, Extra curricular activities, Hostel, Computer Lab, Cafeteria, Sports, Extra Curricular Activities and many more are provided by the colleges in Vijayawada. Get connected to different colleges in Vijayawada which is just a click away. StudyguideIndia will provide you the information as required by you. Information which is provided here is correct. If at all you come across any errors you are requested to kindly let us know. "Following are the list of Colleges in Vijayawada. All Colleges in Vijayawada are divided location wise. We have even listed Colleges in Vijayawada as per alphabetical order making it easy to find the desired college and information on it. If you come across any College in Vijayawada which is not found in our list below, please do let us know by using add in list which is default in our website”.